The MBBS program is a competency-based, integrated curriculum with the educational objectives expressed as competencies which the graduate doctor should have acquired by the end of the program. 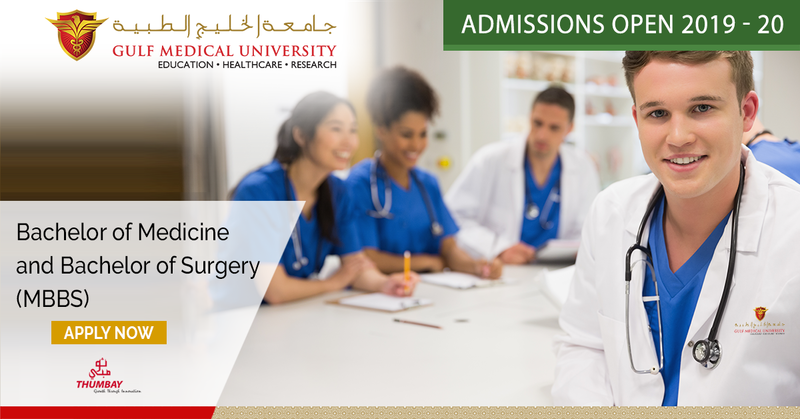 The MBBS program is accredited by the Commission for Academic Accreditation (CAA), Ministry of Education, Higher Education Affairs, United Arab Emirates. 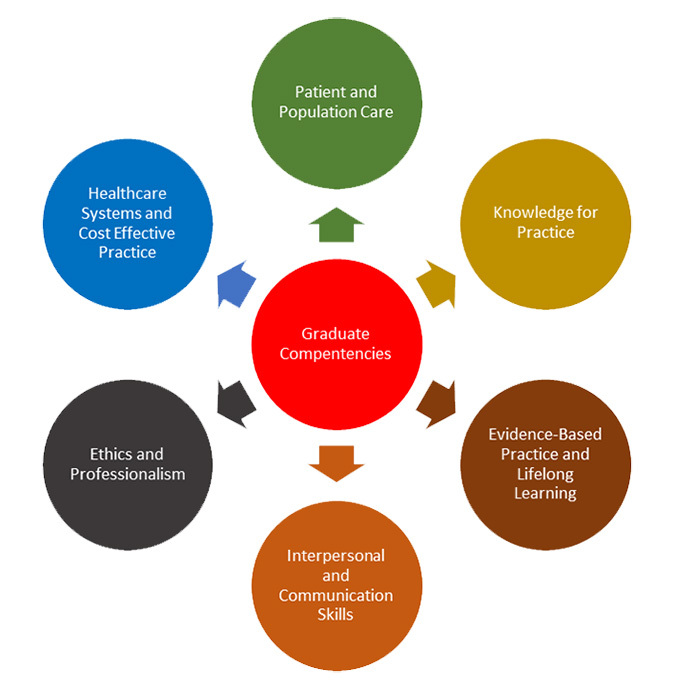 The outcome competencies of the program are benchmarked with internationally known competency frameworks including the Accreditation Council for Graduate Medical Education (ACGME) competencies, have been adapted to the cultural context of the Arabian Gulf region and are aligned to the UAE National Qualifications Framework at Level 7 [Bachelors]. The duration of the program is 5 years and the curriculum is organized in an organ-system based sequence integrating biomedical sciences, clinical sciences, social/behavioral sciences and patient-care skills. The curriculum is designed to develop a culture of teamwork, scientific enquiry and lifelong learning in the students which are essential for the effective practice of medicine. The pedagogy used in the MBBS program includes diverse teaching/learning methods to cater to different learning styles of a culturally diverse group of students. More small-group and active learning strategies like Student-led Seminars (SLS), Problem-based Learning (PBL), Team-based Learning (TBL), Virtual-patient Learning (VPL) etc. are used with less number of lectures. Early clinical exposure starting from the first year is the highlight of the MBBS program. The curriculum is delivered in a number of different healthcare settings including ambulatory and inpatient care, primary health care, emergency, and community settings providing wide experience. Training in the state-of-the-art simulation set-up in the preclinical years provides additional hands-on training during the pre-clinical years. Assessments are of high standard and benchmarked internationally by the MBBS students taking the International Federation of Medicine (IFOM) Examination (Basic and Clinical Sciences) conducted by the National Board of Medical Examiners (NBME), USA. Graduates are awarded the MBBS degree on successful completion of the 5-year program and passing a comprehensive Exit Examination. The MBBS degree awarded by GMU is recognized by the Ministry of Health, UAE and all graduates are eligible to take the licensing exam in the country to be evaluated for independent practice. The Vision of the MBBS Program is to pursue excellence in medical education, research and patient care to meet the evolving healthcare needs of the nation and the region. Prepare medical graduates to pursue postgraduate training in any specialty of their choice and integrate advances in research in the delivery of quality patient-care. The applicants from UAE education system offering Advanced Track/Stream or Abu Dhabi Education Council criteria must have secured an overall average of 90% or above marks as per UAE Secondary School Education Standards and should have scored an aggregate score of 80% or above in Biology, Chemistry, Physics / Mathematics in the 12th Grade. (Advanced Track/Stream or Abu Dhabi Education Council criteria) Student should secure an overall minimum score of 90% (A Grade) and above in the 12th Grade. · An aggregate score of 80% or above in Biology, Chemistry, Physics / Mathematics in the 12th Grade. Student should secure an overall minimum score of 80% (A Grade) and above in the 12thGrade.· An aggregate score of 75% or above in Biology, Chemistry, Physics / Mathematics in the 12th Grade. Indian Central Board/ICSE Student should secure an overall minimum score of 75% (A Grade) and above in the 12thGrade. An aggregate score of 70%or above in Biology, Chemistry, Physics / Mathematics in the 12th Grade. Pakistan / Bangladesh Pakistan Board Bangladeshi Board Student should secure an overall minimum score of 75% (A Grade)and above in the 12thGrade.·An aggregate score of 70% or above in Biology, Chemistry, Physics / Mathematics in the 12th Grade. USA American Diploma Student should secure an overall minimum score of 90% (A Grade) and above. SAT(Chem / Math) to be completed. Applicants from any other Non-UAE educational systems not listed above must have secured a minimum aggregate score equivalent to UAE 90% or above as per International Grade Conversion Table published by WES. Upon graduation, the medical graduates can pursue further career in the field of clinical practice, research or academia. All graduates are eligible to take the licensing exam in the country to be evaluated for independent practice. Medical graduates can work as doctors in hospitals, medical institutions, private clinics, research centres, medical industry and insurance. Medical graduates can specialize in a variety of biomedical or clinical medical professions after completing a period of postgraduate training. Graduates interested in research and academia can pursue a masters and PhD.